February is such an exciting month! The Super Bowl – GO BRONCOS, Valentine’s Day and this year, my FIRST Anniversary! February’s Budget Meal Plan is exciting too with special dinners on Super Bowl Sunday and Valentine’s Day. Did I mention, GO BRONCOS!? For February, I’ve included four NEW kid-friendly recipes and plenty of make-ahead and crockpot meals to help make dinner a breeze! This months Budget Meal Plan has a month of kid friendly dinners to feed a family of four with one leftover night a week for only $218! 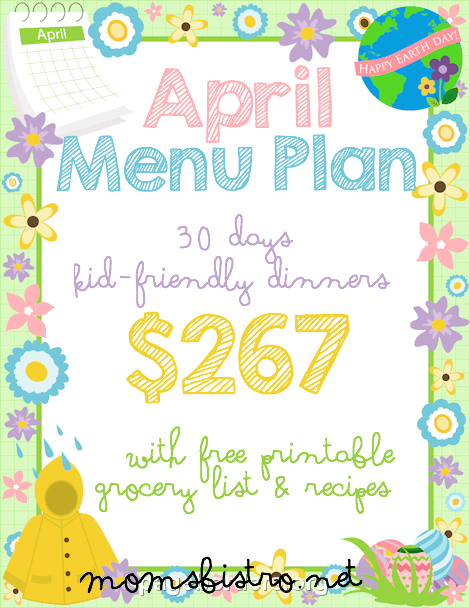 Each months menu also includes FREE printable weekly and monthly grocery lists and printable recipes. This way you can take a look at the recipes, and the grocery lists to see what you can buy in bulk, and what you can make double batches of for lunches! New recipes are going to be posted throughout the month, and ALWAYS before the date that is on the meal plan. Sign up to receive e-mails at the top of the screen and get all new recipes, meal plans and how-to’s delivered right to your inbox. 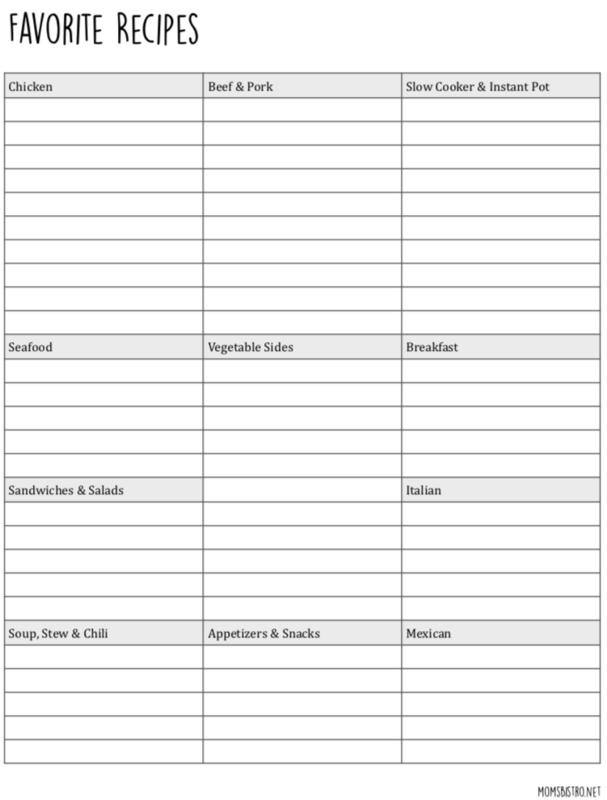 For the FREE printable version of this meal plan, the grocery lists and the recipes, scroll down the the bottom and click the links. For recipes with step-by-step directions with pictures, click the recipe name below. You may also be asking yourself, how does she do it? How do you feed a family dinner for only $218 a month? Well first of all, I shop around. I look at the sales at my local grocery stores, and buy as much in bulk as I can. Buying things like beans, rice, and meats in bulk saves you money and only takes an extra 10 minutes to divide up and freeze. Like in previous menus, I shopped around but most of my groceries are bought at Sprouts. I am able to save a lot of money this way without compromising the quality of ingredients. Most of my canned goods are bought at Walmart, because they have the lowest prices around on canned goods. If you have a Costco membership, take advantage of it. That is why I have included both the monthly and weekly grocery list so that if you wanted to buy in bulk, you have everything you need right in front of you! Being able to stick to a grocery list is the BEST way to save money! 29 Days of Kid-Friendly Dinners for $217.87! Note: The weekly grocery lists include all of the groceries you will need. Some items like frozen vegetables etc., are written as smaller amounts than in the monthly list. CrockPot French Onion Soup – NEW! Asian Chicken Noodle Soup – NEW! Asian Chicken Lettuce Wraps – NEW! February’s menu is filled with delicious kid-friendly meals! What kind of recipes would you like to see on March’s menu? Share in the comments to help inspire me and other parents! Still looking for the February breakfast, lunch and dinner menu? Keep your eyes peeled… It won’t be long! Spring Into Savings with March’s Budget Menu Plan! just curious when you will be posting all your recipes with the “NEW!” aside. They were not included in the pdf of recipes and they aren’t clickable when going through the meal plans. I tried searching your recipe box but came up short there also. Thanks! This is our first month trying this out and we are really excited about it! Hi Lindsie, my family and I are trying out your meal planning. I know you said to sign up for the emails to get the recipes sent directly. I’m confused on where we sign up for the emails. I didn’t see anything at the top of the page other than to share the site by email. Thanks! There should be a green bar across the top of the page, if you don’t see it, leave me your email and I’ll add you! Of course! Have a great day! I love the recipes and your meal plans. Thank you so much. Also I love that you put links up for the recipes with pics, and the month of meals with grocery list.You make my life so much easier!!! You’re welcome! Thank you so much for sharing – it always makes me smile hearing how my meal plans and recipes help make your life a little easier! Lindsie I am new to your site and to meal planning. I love what I see I have printed out every month you have done since January 2015. My only question is do you freeze part of your meals? I bought 2 weeks worth of meals based on your November post and I am not sure how to go forward. Do you make up the meals as soon as you buy the groceries or as you go? Thanks so much for the kind words! It really depends on what I freeze and what I make in bulk etc. I’ve been trying to make some more notes for each week and for the month as what to make and freeze which is why I started adding the weekly grocery lists. 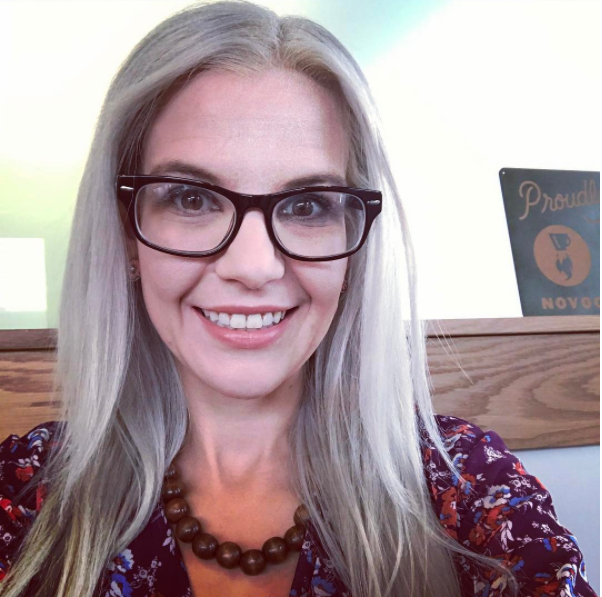 If you send me an email to lindsie@momsbistro.net with the weeks you’re looking at and what you wanted to do ahead of time, I’d be glad to help! Hi Lindsie! I just found your site and it’s amazing! Thank you so much for posting your menus. It’ll definitely make my life easier. :). I did have a quick question though. For the Fried Rice meal, you don’t say how much rice to use. Is it just as much or as little as you want or do you have an amount that you typically use? Thanks again! How come the grocery lists do not match everything you need for all of these recipes? Some ingredients are considered staples. Hello, I am trying your recipes out this month for the first time. I have been getting your email lists but there is none for the French Onion Soup. I know that you mentioned you weren’t ready to share in other comments, but it’s the night before. As a working mom with a husband who works opposite hours I do, It would make a world of difference to have been able to prep so I can have this ready for my husband when he leaves for work. I appreciate all of your recipes and you are saving us a ton of time. I just was wondering. Thank you! Hi! We’ve been following your meal plans for two months name and hAve been saving SOOOO much money! I was wondering when the March plan will be up? I’m sure you’re super busy, so I was just wondering. We went ahead and redid a week from January for the first week on the new month since we go to the store on Saturday. Thank you!! !